As I reported for Yahoo (and Level Renner), Michael Wardian will be at the Boston Marathon expo, attempting to regain his world record for the fastest treadmill marathon. Wardian is an amazing distance runner, famous for his ability to run multiple races at a high level in quick succession, but he also has a impious streak. 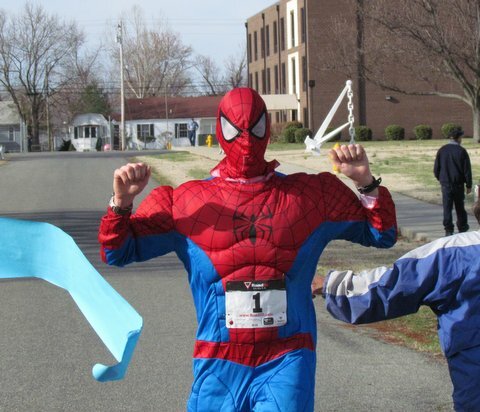 In addition to his treadmill racing, Michael is the former record holder for fastest marathon while pushing a baby jogger and he’s the current record holder for fastest indoor track marathon and fastest marathon while dressed as a super-hero. If you don’t see the button for the audio player, here is a link to the MP3 file.